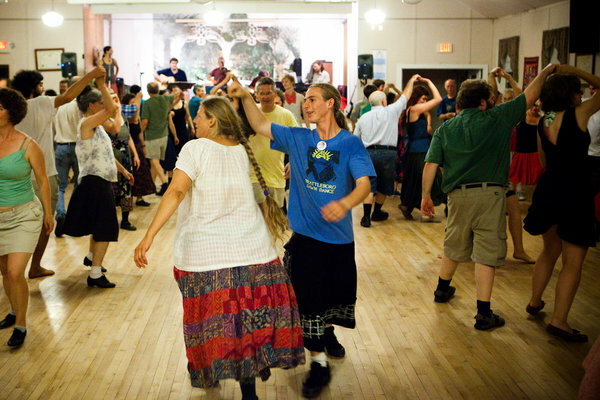 Reporters from the New York Times stopped in to visit when we played the Montpelier, VT Capital City Grange dance in July, and they snapped this picture of us with Rebecca Lay, Darren Schibler, and a whole lot of happy dancers! Credit: Piotr Redlinski for The New York Times. Original photo and article are available at NYTimes.com .